We “Shree Isradevi Machinery” founded in the year 2014 are a renowned firm that is engaged in manufacturing and trading a wide assortment of Manually Operated Brick Block Machine, Concrete Mixer Machine, Vibrating Table, Paver Block Rubber Mould, Pan Mixer Machine, etc. We have a wide and well functional infrastructural unit that is situated at (Gujarat, India) and helps us in making a remarkable collection of products as per the global set standards. We are a Sole Proprietorship company that is managed under the headship of "Mr. Mitesh Panchal" (Proprietor) and have achieved a significant position in this sector. 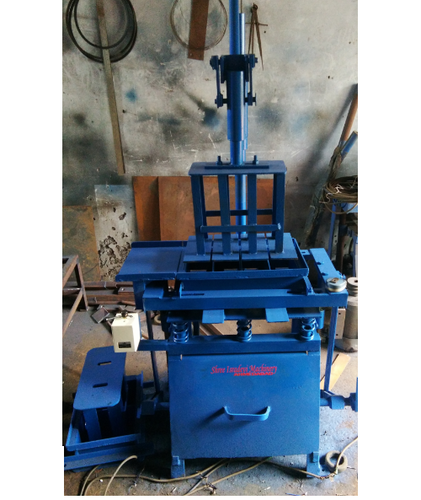 Established as Sole Proprietorship firm in the year 2014 at Ahmedabad (Gujarat, India), we “Shree Isradevi Machinery” are a renowned manufacturer, wholesaler and retailer of a qualitative assortment of Block Making Machine, Vibrating Table, Mixer Machine, etc. Our offered range is widely acclaimed for its features like elevated durability, precise design, fine finish etc. We have the well-equipped quality control unit. Also, we have experienced professionals. Further, we provide various training sessions to them for handling new technology that is used in production processes. Also, our packaging unit is located in an area with well-connected transportation so that our products reach to the clients in the fastest and safest manner. We use quality basic components in the packaging of our products to ensure safe delivery.